Baseball. A great sport that gets a lot of revenue on an annual basis. If you have been watching MLB Network or any of the Baseball coverage that airs on SNY, it’s getting old and stale, and I’ll be there first to admit it, I’m sick of talking about how long it takes for the Mets to get a shortstop or a relief pitcher. How many days away is Opening Day again? 98? I just want Baseball back, maybe if we can get some low-quality camera shots of a pitcher throwing a baseball to a catcher in Port St.Lucie, I’ll be happy. The Mets have a nice spring training complex, and if you haven’t been, I highly recommend going in 2015. 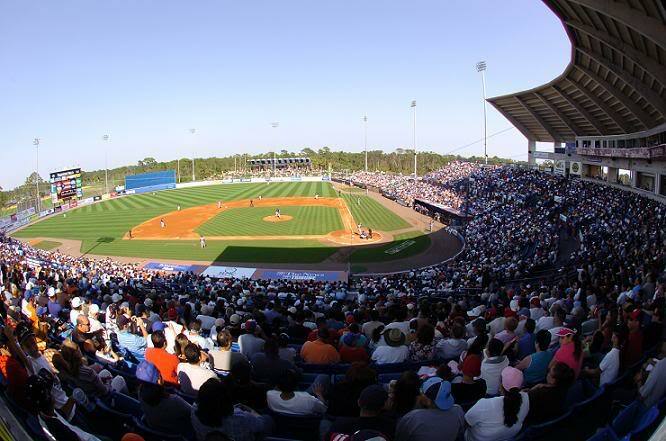 The capacity is around 7,500, and the Mets regularly draw somewhere around 3,000 to 5,000 people, so it won’t sell out like games at Roger Dean Stadium in Jupiter, Florida, just north of West Palm Beach, where the Marlins and Cardinals play. Going to Spring Training gives you something to look forward to, and it’s very easy to grab an autograph or two . If you can’t make it down to Florida this year, I recommend going to the Queens Baseball Convention in January, 2015. Stars like Mookie Wilson, Wally Backman and Adam Rubin will be there for autographs and interviews. Mets broadcaster Josh Lewin from WOR will also be there. If you don’t have your tickets yet, don’t worry, you still have time. Head on over to MetsPolice.com right now and grab a pair of tickets. I already have. Anyway, the moral of this post is that Baseball needs to hurry up and get here. Happy New Year Mets fans!